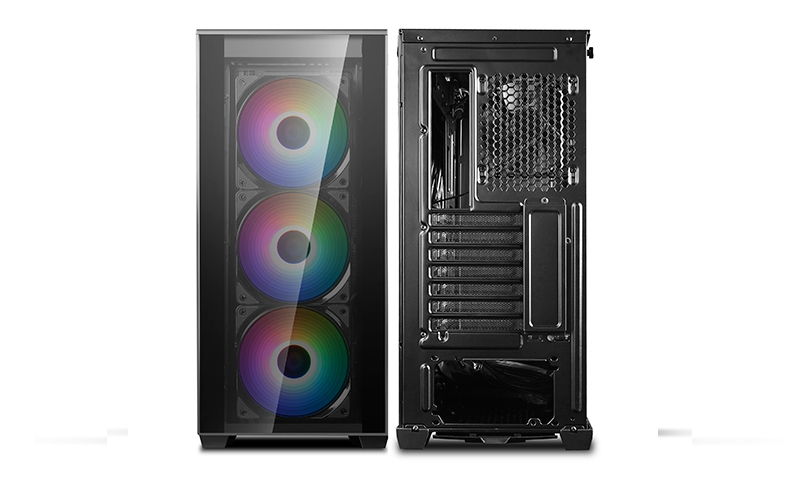 MATREXX 70 3F is a new-concept chassis specially designed for the enjoyment of DIY. 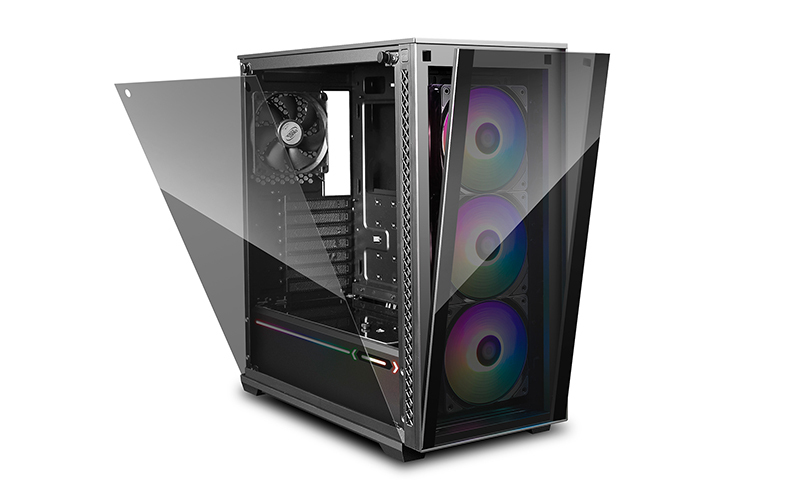 By adopting numerous novel structural designs, its architecture yields convenience and flexibility in PC building. 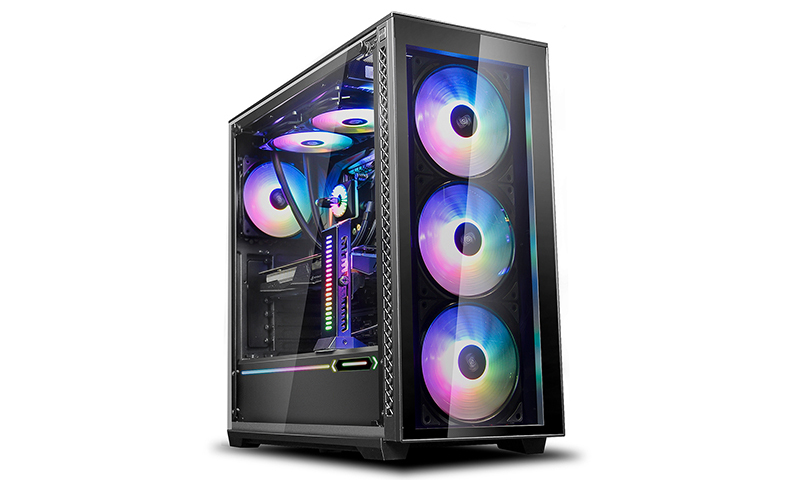 Meanwhile 3 * CF 120 RGB fans and 1* RGB LED strip are included to provide top-notch lighting effects. MATREXX 70 3F is ready to give you a boost of the gaming ambience. 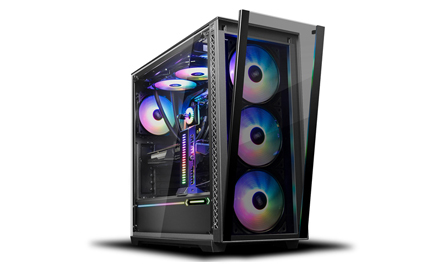 The ADD-RGB lighting system includes 5 pre-programmed lighting effects (dynamic color, static, breathing, comet and fashioncollision) and can be easily controlled by the RGB button on the I/O panel or motherboard. 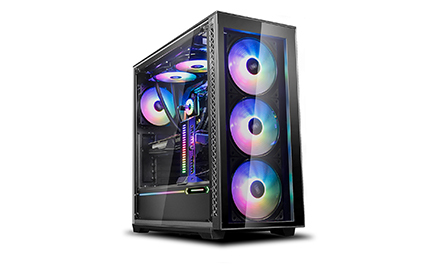 Meanwhile the special accessory pack enables the syncing between the products from Deepcool and other brands, thereby creating a friendly ADD-RGB ecosystem. 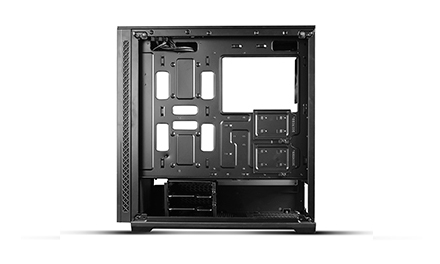 With the bottom hooked to case structure, and the top locked by a spring buckle, the front panel of MATREXX 70 3F can be released to “dismounting ready”state with just one touch. 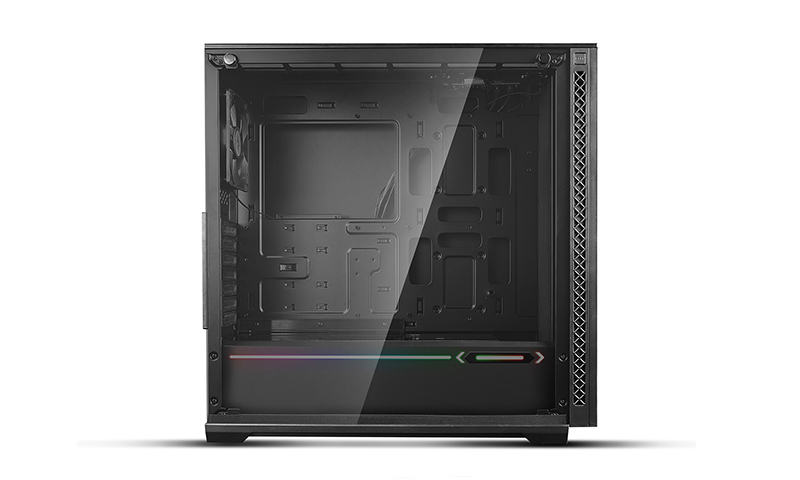 Once the “OPEN” button is pressed, the front panel will be released and held at a 5°angel, and is ready to be pulled out. 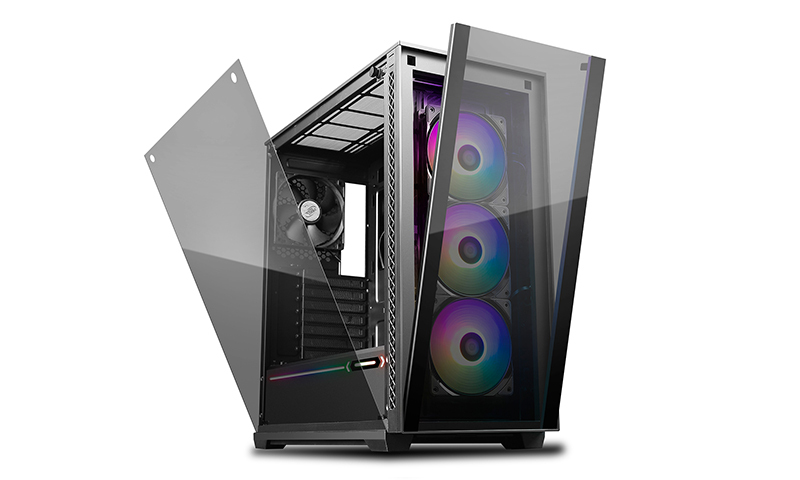 The radiator/fan holder simplifies the installation and replacement of the radiator and fan, it’s especially effort-saving when you need to install the radiator and the fan on the different sides of the holder. In MATREXX 70 3F, DEEPCOOL creatively used tinted glass as the top cover of PSU shroud, which is pioneering in the industry. With air intake options at front and bottom, exhaust options at the top and rear, MATREXX 70 3F provides highly flexible ventilation solutions. Meanwhile the 15mm-wide front intake hole guarantees sufficient air supply, together with the low friction material applied on all meshes, the cooling efficiency is maximized. 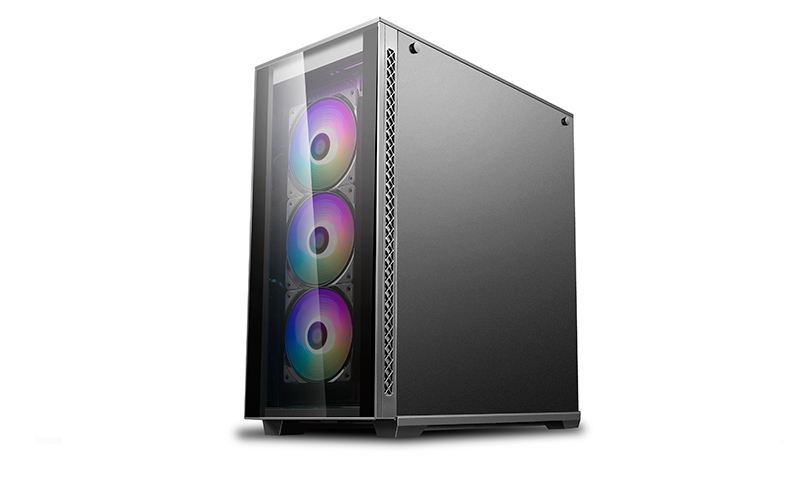 A total of 6* 2.5’’ drives or 4*2.5’’ + 2* 3.5’’ drives can be mounted in MATREXX 70 3F. 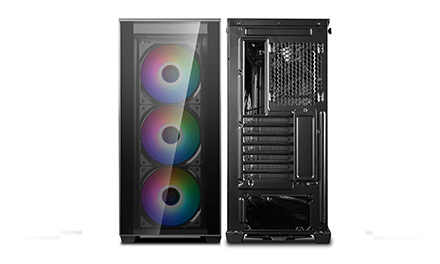 2 SSD bays are fixed at the back of motherboard tray for quick installation. 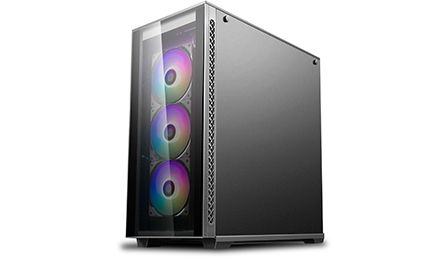 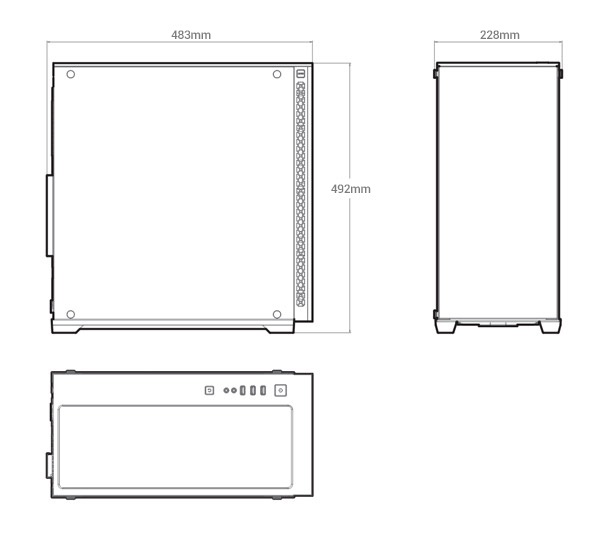 2* 3.5/2.5’’ hard drive bays are mounted at the bottom of the case which are relocatable and removable.After removal, 2*120mm fans can be installed at the location. 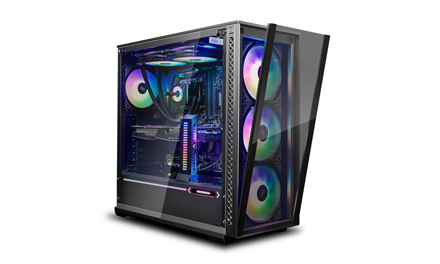 Included ADD-RGB system controllable by either case button or motherboard, and compatible to other brands’ ADD-RGB products.